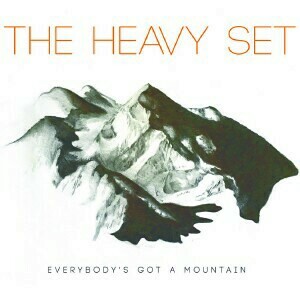 The irony of the Minneapolis group The Heavy Set is their name, insinuating something heavy, or possibly very funky. However, this is homespun music from the heart, often with an airy, lilting quality. Gentle yet commanding one’s undivided attention. Ample nods to the Allman Brothers/Widespread Panic style will keep the listening audience grooving along. All songs written by vocalist/guitarist Jake Ilika provide an overall singer-songwriter feel, except with full backing band. Also present is a distinct “swing” to Zac Barbieur’s drumming, keeping perfect time but in an understated manner. Holding back a little so the open spaces in the music communicate as much as the parts played on. “Getting’ Tired” finds instrumentation building to a climax, finishing with soaring slide guitar work. “Circling The Drain” and “Start Over” are in that airy realm, almost with a Lanois or early Mazzy Star type of expansive intuition. Closing my eyes, these moments transport my thoughts to the mountainous prairies of the American west where one can turn full circle and just see miles of untarnished natural beauty. Tasty blues saxophone care of Max Felsheim colors the song “Good Times”, and “Use These Blues” rolls in to Southern rock territory with a boogie rhythm, rollicking guitar runs, and a vocal chorus with a hint of gospel-blues influence. The Heavy Set performs with the People Brothers Band and Frogleg, Friday, December 11, at the High Noon Saloon in Madison.